The new William J. Hybl Sports Medicine and Performance Center is due to break ground soon. The Sports Medicine Center is part of the 2020 University Master plan, which also includes connecting parts of campus and further development. The University of Colorado Board of Regents last year approved $61.4 million budget to build the Sports Medicine Center. The center is anticipated to be around 104 thousand square feet. The center will offer services such as orthopaedic sports, primary care sports medicine, pain management and more. UCCS shares the financial burden for the Sports Medicine center. “$16.4 million of it is coming from the City Of Champions project…Centura is bringing a lot of money to the table too…,” says Verner. UCCS is partnering with Penrose-St. Francis Health Services, which is part of Centura Health. Penrose-St. Francis which will be responsible for the center’s medical and performance clinics. UCCS will run all academic research and instruction in the facility. It is expected that it will host many UCCS academic programs, such as the exercise degree program which is expected to grow by 1,000 students. The center will feature three different centers: The Center for Tactical and Occupational Performance, providing services to occupations such as police officers and military; the Center for Athletes and Active Individuals with Physical Disabilities, serving wounded military service members and para-athletes; and the Environmental Health and Performance Center, which will help address demands that athletes, members of the military and others face. After the construction of the Ent Center for the Arts, a new baseball field and indoor track and field, the center should be the next step for UCCS. This Sports Medicine Complex will be the first facility to integrate undergraduate and graduate education, allowing students to learn about clinical practice and research in a sports medicine and performance environment. 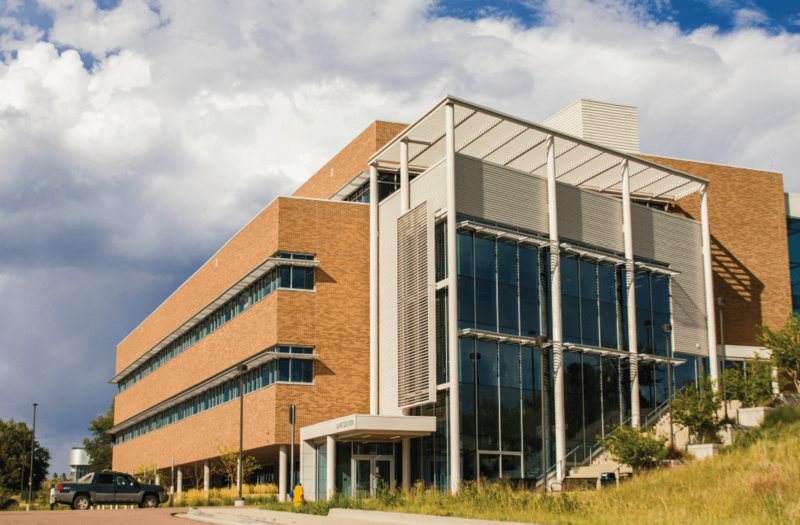 This addition to UCCS would add an unique educational aspect, making UCCS a leader in the study and application of sports medicine and science in the country. The proposed Sports Medicine Complex is one of four projects proposed in the Colorado Springs’ City for Champions application.